Upcountry is a term which describes not only a way of life, but much of the area on the Haleakala side of Maui away from the shoreline. 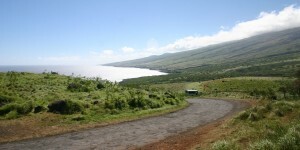 The largest towns Upcountry are Pukalani, Makawao, Kula and Haiku. Although Upcountry is mostly rural, agricultural and residential, Upcountry Maui also offers quite a bit for visitors too. 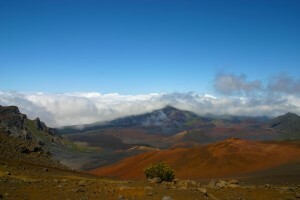 In a nutshell: “Upcountry” is a term which describes not only a way of life, but much of the area on the Haleakala side of Maui away from the shoreline. The largest towns Upcountry are Pukalani, Makawao, Kula and Haiku. 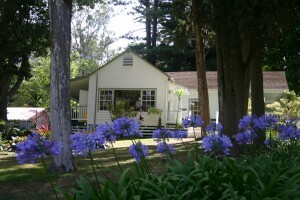 Although Upcountry is mostly rural, agricultural and residential, Upcountry Maui also offers quite a bit for visitors too. Minuses: No beaches, and far less tourism oriented. “Upcountry” is as much a lifestyle as it is a place. Many people who live Upcountry consider themselves to be quite different from those fancy “city-slickers” who live in paces like Kahului, Wailuku, Kihei or West Maui. Take the “up” off and you have the closest translation of what this term would mean on the mainland: “Country” (with a capital C!) There are Upcountry bumper stickers that proudly proclaim the pickup truck owner’s mindset, and depending on who you ask, many folks have an opinion on who/what/where is qualified to be considered worthy of that label.